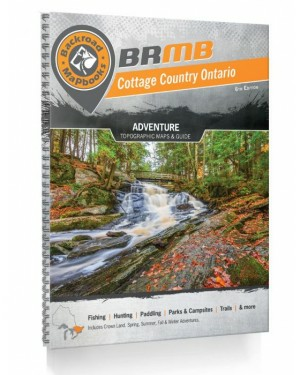 Backroad Mapbooks’ Ontario GPS Maps are Canada’s leading GPS map source for the province of Ontario. 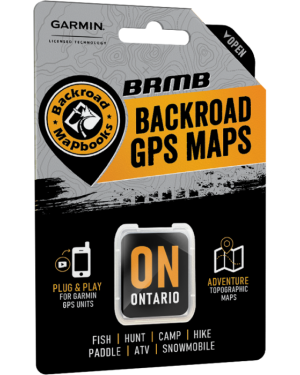 These Garmin-licensed GPS maps are compatible with Garmin GPS and Garmin Basecamp, allowing you to load full map coverage of Ontario onto your computer or GPS device to plan your expeditions and navigate with confidence. These GPS maps include detailed topography of Ontario’s terrain, with 3D views and shaded relief to give you all the information you need. Large scale topographic maps showing all the recreation, road and water features that have made the Backroad Mapbook series Canada’s leading backcountry map source for over 20 years. 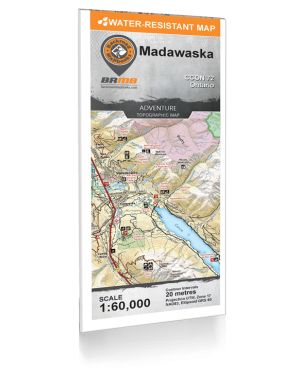 The 24" x 37", 1:60,000 scale maps are printed on water resistant paper. The large format makes them easier to read and ideal for travellers exploring a smaller area of the Park or surrounding communities and waterways. Combining the Cottage Country and Eastern Ontario Mapbooks, this edition now covers most of southern Ontario, from the Muskoka and Kawartha areas to the quieter cottage region and the always popular Algonquin Park – there is no shortage of incredible destinations to be found within the newest edition of our Cottage Country Ontario Backroad Mapbook. Known as the heart of Ontario’s outdoors, Cottage Country is home to thousands of scenic lakes and valleys, making it one of the most popular outdoor destinations in North America.